This is a handy 70 cm extension pole compatible with Stiga brushcutters 226 J/JD, allowing you to reach more out of the way areas with your tools. This is an environmentally friendly, versatile petrol brushcutter that is ideal for a range of garden chores. 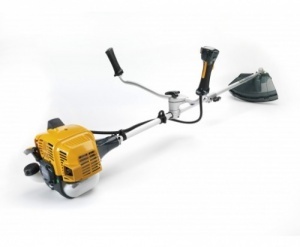 It boasts a 25.4cc 2-stroke engine, with a choice between a Tap 'n' Go nylon line head or a 3-tooth grass blade. A versatile brushcutter with a 25.4cc 2-stroke engine, supplied with a Tap 'n' Go nylon line head and a 3-tooth metal grass blade, making it perfect for a variety of garden jobs.